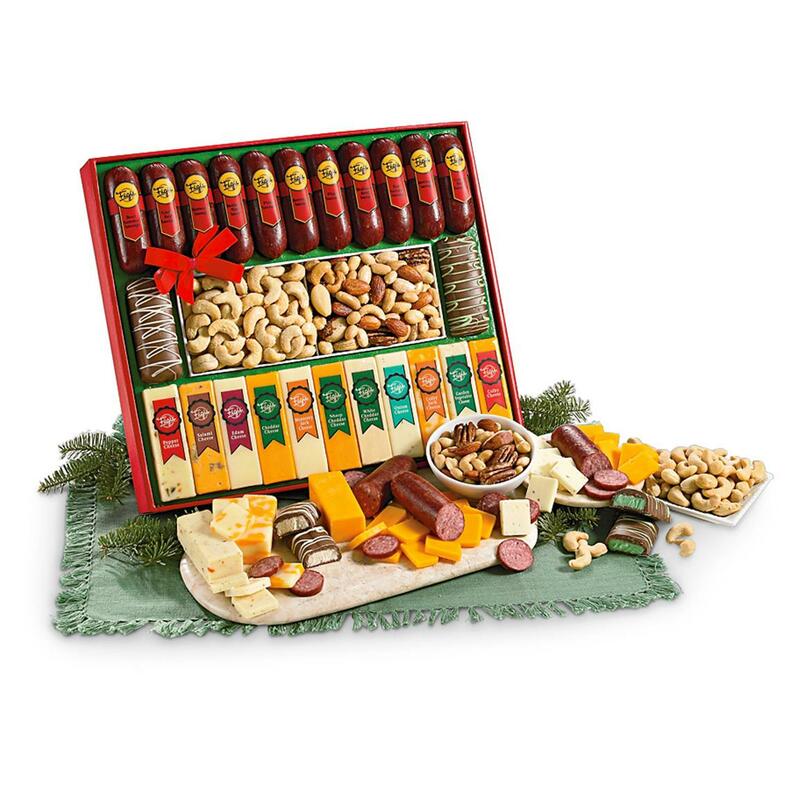 Double Wisconsin Variety Pack is loaded with the snacks you can't resist! Meats, cheese, nuts and a little chocolate... what more could you ask for?! This Variety Snack Pack features a huge assortment of the treats everyone loves, in handy snack-sized cuts. Choose from Wisconsin's best cheeses like Colby Jack, Cheddar, Salami and Vegetable flavored. Then pair those cheeses with the Smokehouse Summer Sausages in flavors like Steakhouse, Garlic, Beerwurst and Pizza. Finish it all off with delicious Mint Meltaway and Vanilla Meltaway Bars. Note: Sorry, no returns unless truly defective. This is really a can't-miss idea! Order ONLINE Today!